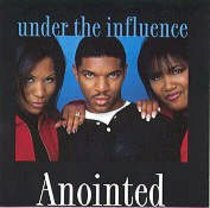 UNDER THE INFLUENCEAnointedThis new release from acclaimed group, Anointed, features powerfulvocal performances, memorable melodies, and masterful lyrics. TheirgospelR&B sound has caught the attention of no lesser talents thanCeCe Winans, among others. From Word.